Around 7 am this morning I woke up to my bathroom sink spewing water from underneath. The hot water feed was disconnected including the water shut off valve and spewing burning hot water into my bathroom. I am curious to know what would cause this to happen, and what I can do to prevent it from happening again? 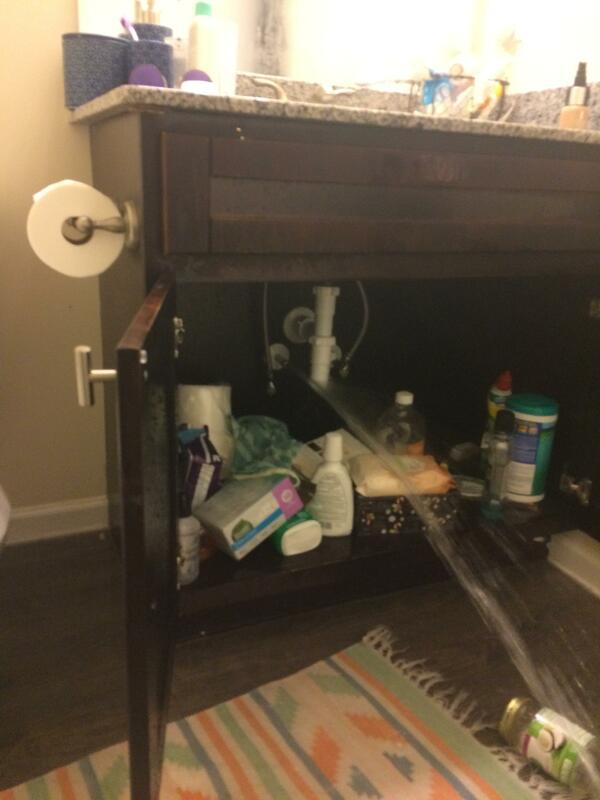 We live in a rental townhome built about 3 years ago, although since it is a college construction I wouldn't doubt that they cut corners with things like plumbing. Never had any problems really with the water, other than the pressure from that sink being fairly low. help? I know I don't know many plumbing technical terms so I am including a (poor) picture of the plumbing. ** update! I remembered that yesterday our power went off for like two minutes. This happens every now and then, and we usually have to go and flip the breaker. Could this ahve somehting ot do with it? Since those flex connectors are pretty cheap, I'd just buy a new one rather than figure out whether the existing one has lost tension at the spring connection or just got dirty/greasy enough to lose hold. Of course, make sure the end of the source pipe is clean, and if it looks worn or damaged, cut a half-inch or so off before reconnecting. Should hot water pressure be reduced after hot water is used? 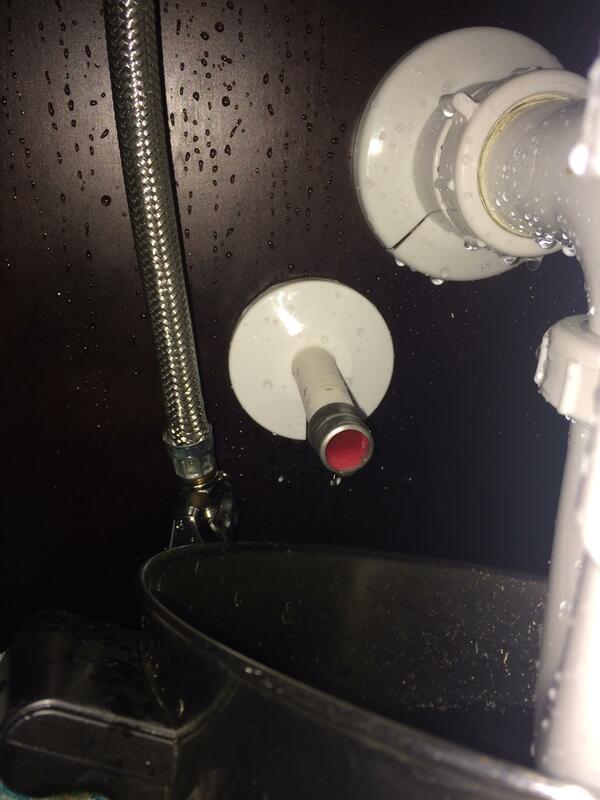 Combi boiler on 2nd or higher floor - how to tell if water flow and pressure is sufficient?